10AM 24th June 2018: Was SHOCKED! I decided to get back with my work, capturing the ambiance of the event; people were lining up like thousands outside, although things got warmer and warmer. The background music was turned on, the rhythm of BGM for dungeon “Forbidden Island” and then “Mission War” kept looping for pumping up the spirits. First batch of players got inside Skydome, and without any hesitations, they came to where I was being stood and recorded and asked me: “Are you Mr. Wormy?! Can I, can we take a picture with you? !” And then after that all of his guild buddies came and took pictures with me. Two boys from the group also asked me for the gift of the mini event that I made before and they got it (check here for the event information). 10:55AM: Back with the line? Will it be there? Actually, I didn’t know exactly when it started, but at around 11AM+, I entered the room and heard lots of screaming, cheering for “City Tour” (I have no idea so forgive me, if I note it wrong.) After that Mr. Apol approached the stage for some kicking-off and warming up activities. The ambiance was warmed up second by second!!! I didn’t forgot the lines outside, I left the room. 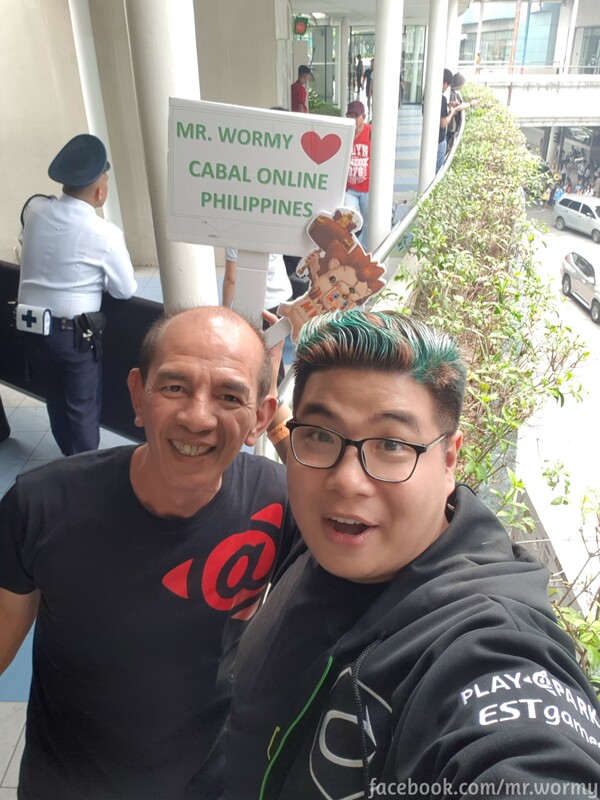 Mr. Apol caught me outside and we had a great discussion, he even invited me for the incoming event this August and also for Year-end event (not sure, but I will try my best!). Let’s get back with the line, so how do you guess about the “status” of the line at 2:15PM? Let’s check the photo by yourself. One was for the line outside with hundreds, sorry thousands of players still lined up (under the extreme heat of Philippines – I would say that I could be fainted under that 34*C heat!). And one was the room atmosphere (from the view of the stage). Yes, thousands of players, everywhere, inside and outside!!! 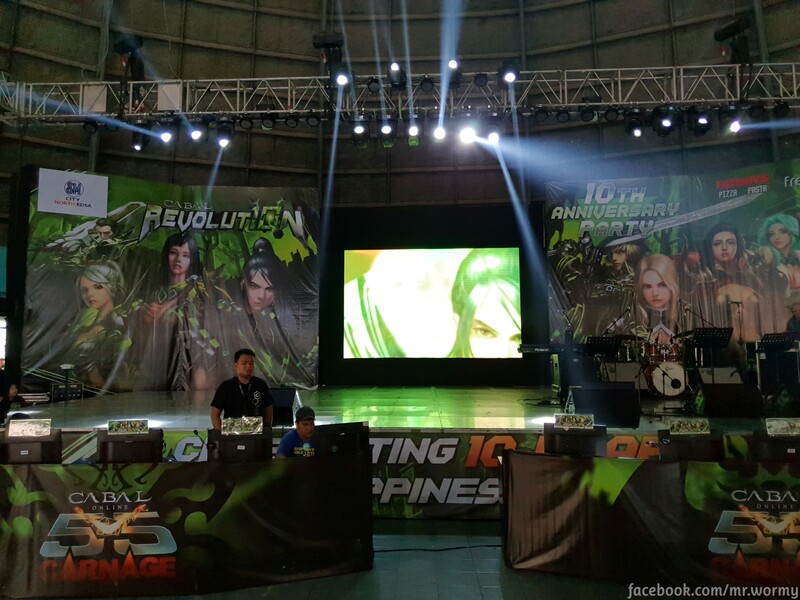 Music is lowered, some staff shown up and called representative of Guilds to the stage, they did some explanation for their Guild Banner. While walking in the room for capturing photos and videos (I will also prepare a clip for this event, Subscribe to my Youtube to ensure that you won’t miss it 🙂 ) got requests to take selfie with lots of fans. Really, feel proud!